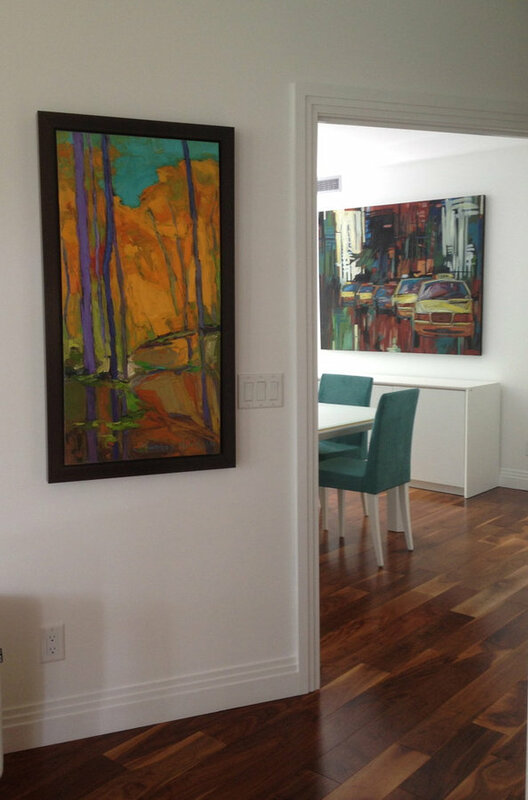 Downsizing with a comprehensive art collection can be a challenge. 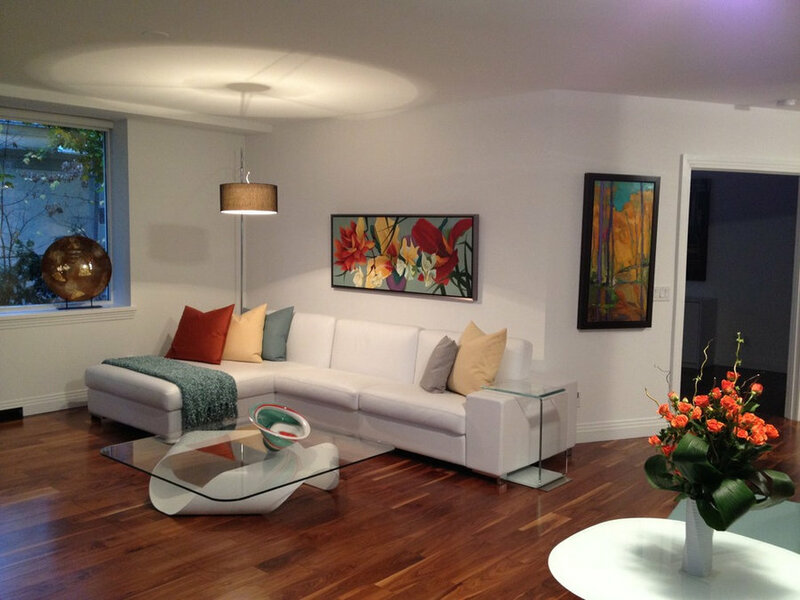 Petroff Design works with clients to strategically select special works of art and plan a room around them. 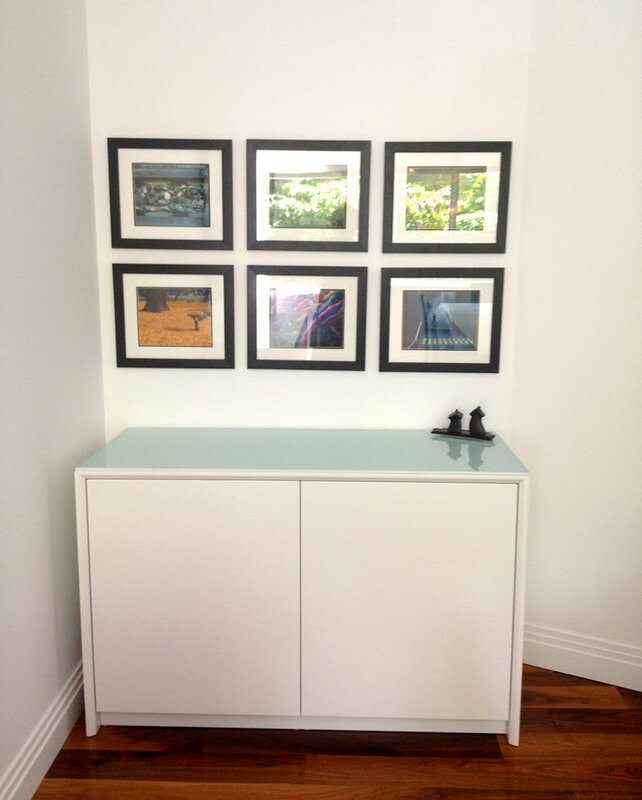 A simple collection of client's photography becomes elevated to a gallery style exhibition, bringing interest to an odd corner.